Thank you to all of those who took the time to fill out the Strategic Planning Survey. If you haven’t yet had a moment to complete it and share your thoughts yet, the survey is still available to fill out here. You may have heard me talk or write about the notion of “school culture” and how so much of what you contribute as parents, your children bring to school as students, and our teachers impact as nurturing educators shape this abstract notion of the “culture” of our school. I thought it may be helpful to dig into that concept a bit, and provide a working definition of school culture. According to “The Glossary of Education Reform,” school culture refers to the beliefs, perceptions, relationships, attitude, and written and unwritten rules that shape and influence every aspect of how a school functions. The school culture “results from both conscious and unconscious perspectives, values, interactions, and practices, and it is heavily shaped by a school’s particular institutional history.” I thought this idea is particularly important to bring up now as I have just returned from the National Association of Independent Schools Conference (held here in Long Beach!) and we are both celebrating 25 years of institutional history this year as well as strategically planning for the next five years ahead. As we are a school that’s mission is to help students “develop a true sense of self through meaningful opportunities for self-expression, service, and character development,” it is imperative that Westerly’s school culture is one of positivity, belief in each student’s potential, healthy and positive relationships which buoy our children’s spirits and trust, and that the written and unwritten rules at Westerly are designed and equitably implemented to support the development of all our student’s character as well as achievement. I don’t doubt that as a school community, we are all on the same page about this. That being said, it is vital that we continuously self-assess our community to ensure that our cultural norms are living up to the lofty goals that we set. As this 25th anniversary year is entering the final third of the year and we are embarking on strategic planning, my goal is that we as an institution, along with each of us personally, take a look at ourselves, our own practices, interactions, and conscious and unconscious perspectives, to see how we affect the school community around us—and in turn, each child’s experience at Westerly. On the eve of Martin Luther King Jr. Day, I want to take the time to reflect on Dr. King and his legacy, and to share with you my thoughts on how vital his message and mission still are to us today in 2019. Though many often cite the line, "I have a dream," to epitomize Dr. King's life and teachings, I find there is much potency and meaning to the totality of his words and actions throughout his lifetime that has helped define our role in 'being the change we want to see in the world. "We have...come to this hallowed spot to remind America of the fierce urgency of now. This is no time to engage in the luxury of cooling off or to take the tranquilizing drug of gradualism. Now is the time to make real the promises of democracy. Now is the time to rise from the dark and desolate valley of segregation to the sunlit path of racial justice. Now is the time to lift our nation from the quick sands of racial injustice to the solid rock of brotherhood. Now is the time to make justice a reality for all of God's children. It would be fatal for the nation to overlook the urgency of the moment." And so here we are today in 2019. Where much has been accomplished, but so much more has yet to be realized. I believe that together we must remain cognizant of the urgency of the moment - of THIS moment. In our government. In our schools. At our borders. In our wage gaps and gender dynamics. We, along with our children, are faced with the urgency of now every day, in every corner of our communities and in our country. 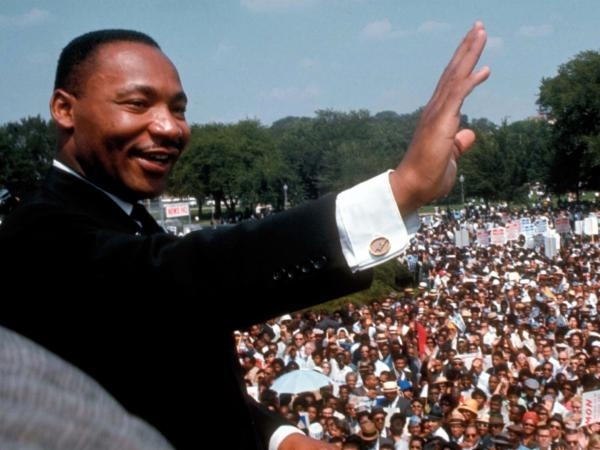 As an educator, as a parent, and as a community leader, I deeply believe that the best way we can continue to honor Dr. King on the anniversary of his birth, and frankly every day, is to carry his words forward: To teach our young people the importance of staying active and engaged, and not simply to overlook the urgency of nowfor the ease of complacency. It is our duty as parents and educators to teach our children about the power of their voices, the strength of their convictions, the impact of their actions, and the need to step up as informed leaders. On Friday, we celebrated Martin Luther King Jr.'s legacy with songs and guided reflection - my hope is that we continue to honor his message by facing the challenges of progress head on. And with humility and grace, all be activists for the future we want to see. I wanted to share a sneak peak into the PE program here at Westerly and the types of activities your children are experiencing! Volleyball is a dynamic sport that can be enjoyed by people of all ages and skill levels and can be played both indoors and outdoors, in large groups or pairs. Aside from being purely enjoyable, the game also has many benefits including improving muscle strength, hand-eye coordination, timing, reflexes, and balance. In addition, and important for our students, volleyball teaches communication, teamwork, and sportsmanship. The students must learn to trust and rely on their teammates to make plays, as well as how to react and support one another when things don't go as planned. 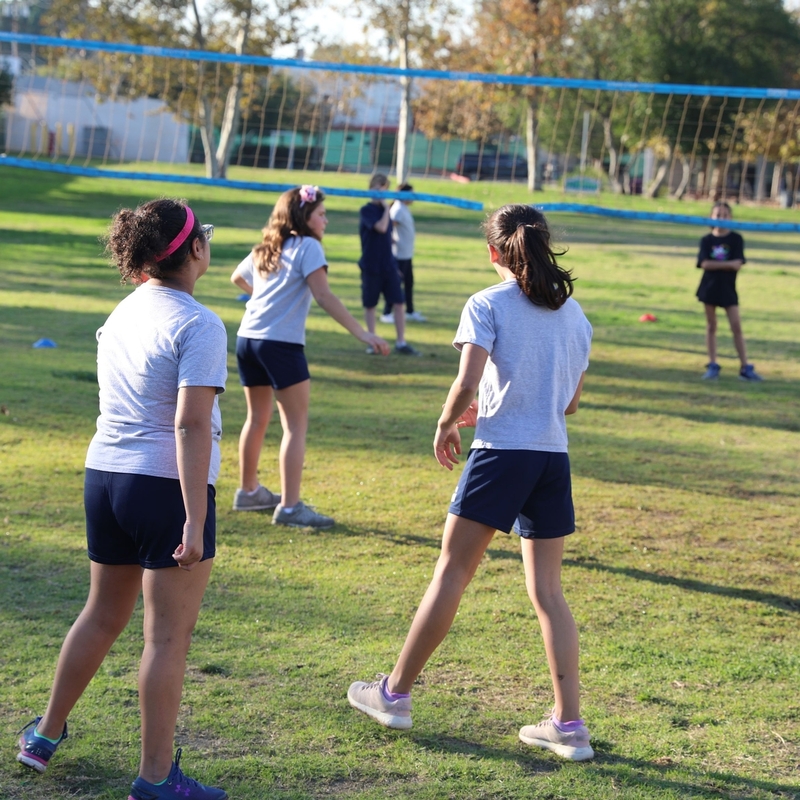 To start their volleyball unit, middle school students were placed on teams and collaboratively developed team names and a team cheer. Our 7th and 8th grade team names included: The Rocks, Tostitos, The Aces, The Bolley Ballers, Da Rock Obama, and The Hot and Spicy Peppers! 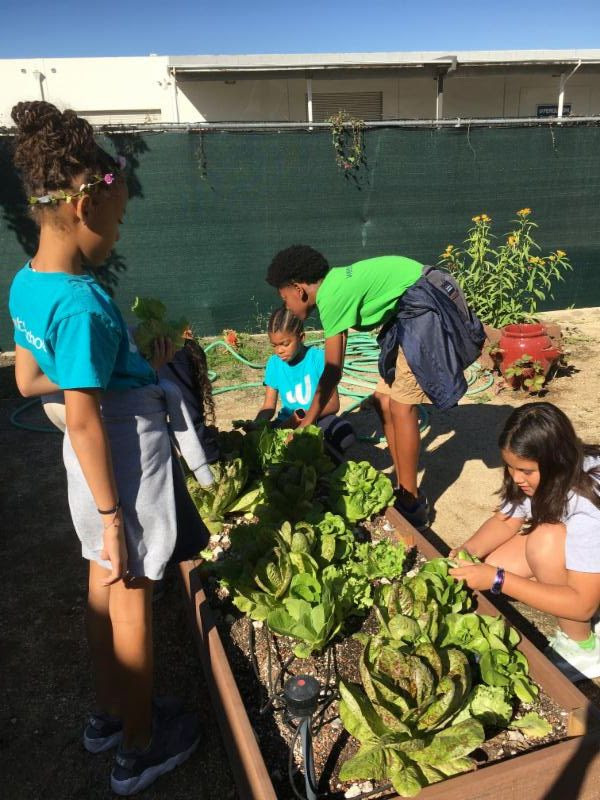 Playing on the same team throughout the unit helps students learn to work with people of all levels and abilities, build relationships, enhance communication, and practice teamwork. Students are also focused on improving their arm's platform, overhead passing skills, their underhand serve, and rotating properly, in addition to learning the basic rules and vocabulary of the game. The video above shows students utilizing a combination of these skills in a class tournament. There are some great rallies, hustle plays, and even a soccer-style kick to keep a play going! See if you can spot it. Should I let my student fail and learn? While meeting with our 8th grade families and helping their seniors apply to various high schools, I have found myself in several conversations about the tension parents felt when it came to academic supervision. Parents expressed the challenges they faced choosing between the "let them fail and learn" mindset (that as teachers we often espouse) and the inherent desire to oversee and manage their child's studying, homework practices, grades, and friendships. I find that this is a confusion that exists almost universally among parents. How do we support our children to get good grades, develop strong study habits, and be joyfully engaged in their school and social lives, while also refraining from being a "helicopter parent" who hovers over them, or the newly coined "lawnmower parent" who metaphorically mows down any adversity their child may face? To be honest, I have no single answer to solve this conundrum. It often is a thin line we must walk as parents to support our child(ren)'s healthy development of the skills needed to face adversity they will surely encounter in high school, college, and life beyond: independent problem-solving, conflict resolution, autonomy and ownership of the quality of the work they present, as well as their ability to navigate multiple perspectives with whom they may not agree. And yet, to develop these skills, they must confront the times in which they face these challenges and learn from the times they fail. Fail sometimes, they must, as a process of learning and healthy development. Though, what do we do when those failures coincide with the consequences of poor grades or struggling in school, sports, or with friends? While I have only been a parent for a mere 11 years and served as an educator for 20 years, my personal, professional, and anecdotal experiences parallel with what educational and psychological research posits: we need to embrace and model that "failure" is only a step of the learning process. When your child has tried something that doesn't work (like NOT doing their homework and getting a "0"), they are one step closer to finding what does work (e.g. getting their homework done early so they can play and feel good!). This reinforces the concept that we as individuals are not fixed in place (e.g. "I'm not good at math"), but rather, with perseverance, effort, and practice, our skills and talents can develop and grow. In his article about Carol Dweck's Growth Mindset, James Clear illuminates this change of mindset that many of us struggle with ourselves. In terms of the consequences that come with embracing failure, we have to acknowledge that there are ways to support our children which both encourage a growth mindset and help to support their success: open communication, brainstorming solutions, recommending that they talk with their teachers, and reminding them that problems don't go away by avoiding confrontation. Let's lean in together to help our students build the skills necessary for success - rather than "mowing down" the problems for them.